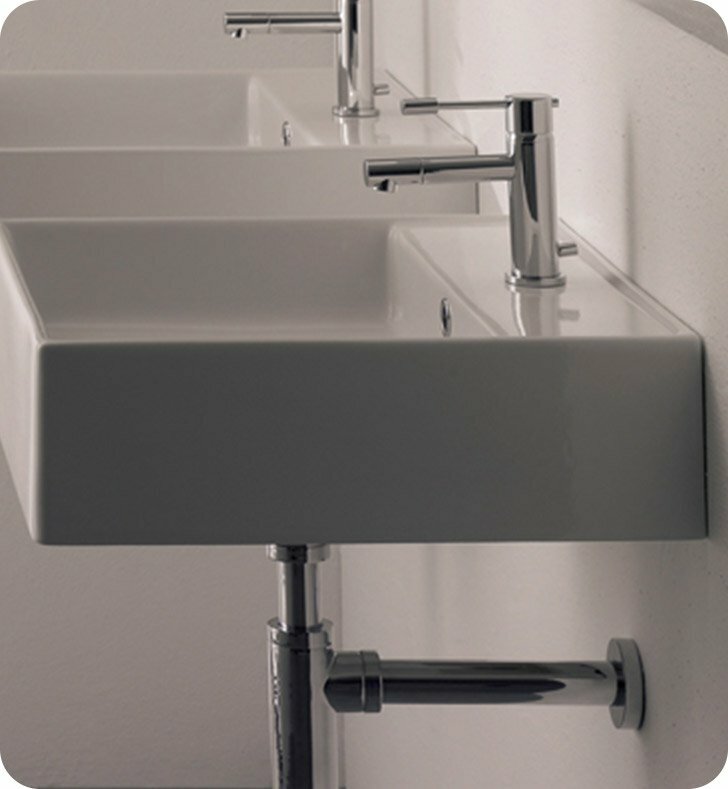 Scarabeo's Teorema one hole bathroom sink is a ceramic sink that is perfect for a contemporary style personal bathroom. 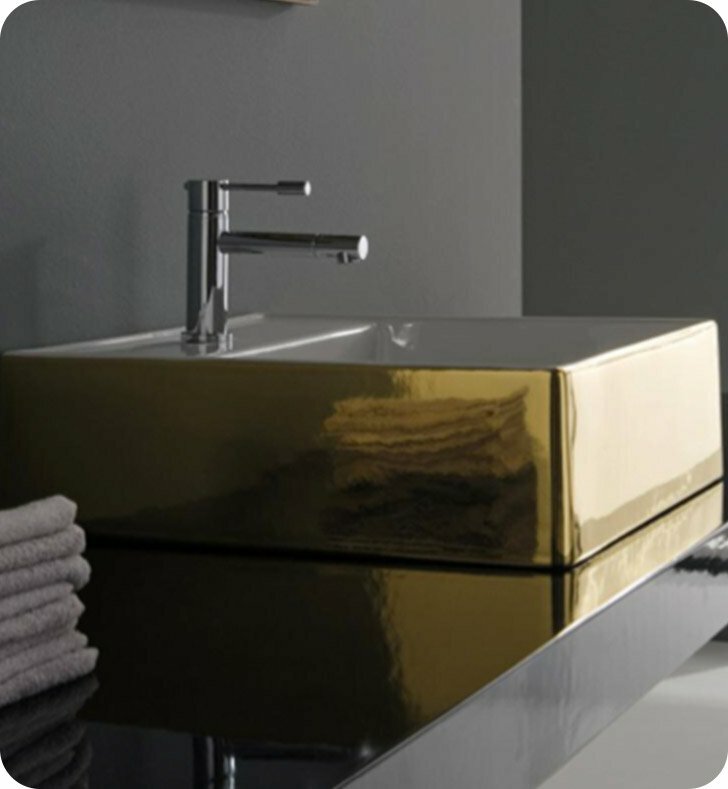 Imported from Italy by Scarabeo, this wall mounted or vessel porcelain bathroom sink is a quality solution for your trendy master bathroom. Match all your other white bathroom fixtures with this quality white bathroom sink, made in high-quality porcelain.